This detailed heart depicts the structures of the diaphragm. 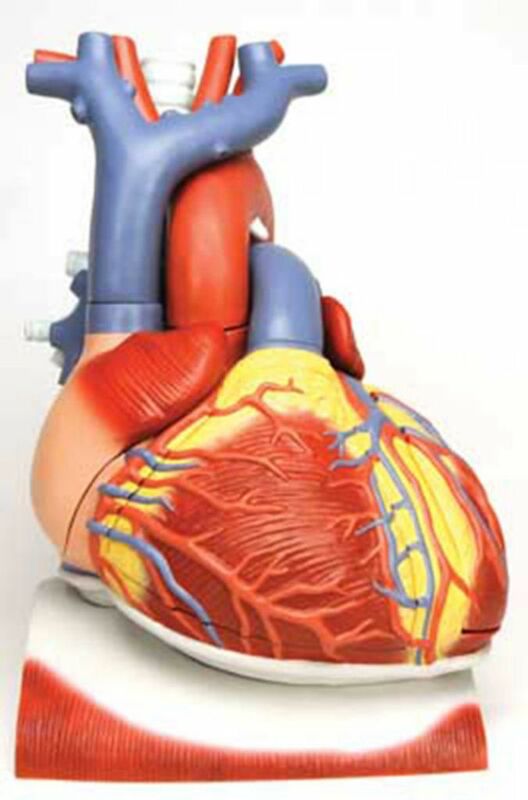 The following parts of the heart can be removed: esophagus, trachea, superior vena cava, aorta, pulmonary artery stem, both atrium walls, and both ventricle walls. The diaphragm includes a three-year manufacturer's warranty.